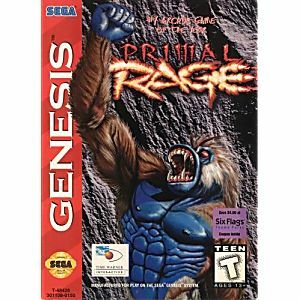 Primal Rage Sega Genesis Game cartridge Cleaned, Tested, and Guaranteed to work! Arrived quickly and worked. Great game! This game was just like I remembered from the arcade. It is as brutal as mortal combat but funnier. If you love mortal combat you will love this game. Absolutely 100% Awesome. The graphics are EXCELLENT!!!! The sfz are also EXCELLENT!!!! Dinosaurs and giant apes fighting each other. It's quite a concept. The fighting and graphics are pretty decent for the time. The only weird thing is the way the special moves are set up. It's ok once you get use to it though. 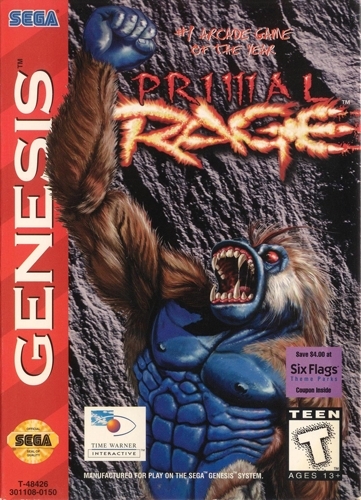 It was a game I liked a lot when I was younger.